While an airtight home conserves energy, a lack of ventilation can lead to a trapped concentration of contaminants, fumes, and humidity. Adequate ventilation brings in fresh outdoor air while also removing airborne pollutants and maintaining humidity within the optimum range. And when you take advantage of whole-home HRV or ERV ventilation systems, you benefit from energy savings as well. If you’d like to improve comfort, cost, and air quality in your home in Denver Metro Region, contact the experts from Steel T Heating & Air Conditioning. HRV (heat recovery ventilation) and ERV (energy recovery ventilation) technology targets the health and comfort of the indoor environment, while also conserving energy. Stale indoor air is drawn out, while an equal volume of fresh air is brought in, ensuring that indoor air pressure remains neutral. Although the incoming and outgoing air streams are kept separate, heat from the outgoing air transfers into the cooler incoming air to lessen the workload of the heating system in the winter. During summer, as much as 85% of heat from the incoming air stream is extracted, greatly minimizing the strain on your air conditioner. 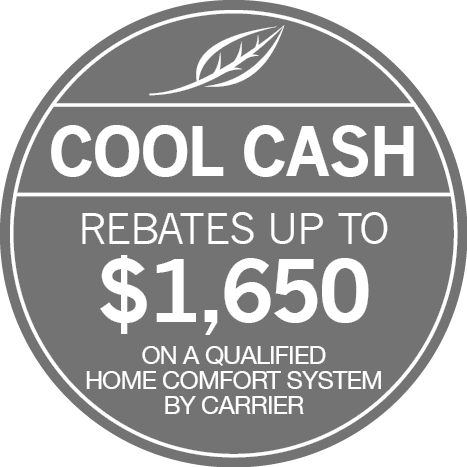 Call today for HRV and ERV system installations and service! As a Carrier Factory Authorized Dealer, the team from Steel T Heating & Air Conditioning is held to uncompromising standards of training and expertise. We offer a range of proven effective, technologically advanced whole-home ventilation systems to handle any type of demand. Quiet and low in maintenance, HRV and ERV units are the perfect accessory for healthy, comfortable, and energy efficient homes throughout Littleton, Lakewood, Centennial, Highlands Ranch & Englewood, CO. Give us a call at (303) 872-8849 for a personalized consultation, expert installation, and affordable pricing. To make your purchase more affordable, we offer financing to customers with approved credit! We appreciate all of your positive feedback about our services. Please review us on Google!